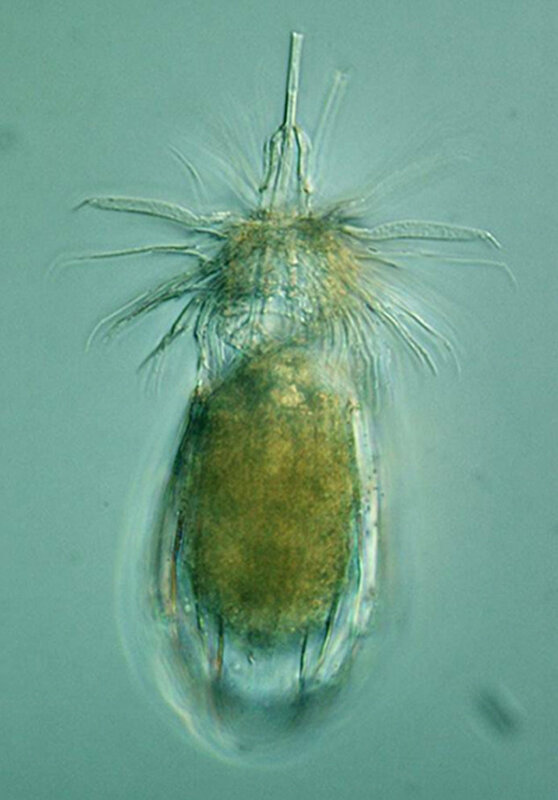 (Click to enlarge) A meiofauna example: “loriciferan” Armorloricus sp. Shortly after the Deepwater Horizon Oil Spill (DHOS) in 2010, Landers received a GoMRI rapid response grant (Recovery: Benthic Meiofauna Survey) to determine the effect the oil was having on the meiofaunal population of the northern Gulf of Mexico (GOM). Since Landers already had comparative data going back to 2007, he was immediately able to assess impact. In 2011, he presented findings regarding the meiofaunal response to the DHOS at the 2nd World Conference on Marine Biodiversity in Aberdeen, Scotland. (Click to enlarg) A second meiofauna example: “mud dragon” Echinoderes sp. The Gulf of Mexico Research Alliance has just awarded Landers a second Investigator Grant, Analysis of Continental Shelf Meiofauna in the Northern Gulf of Mexico: Effects of the Deepwater Horizon Oil Spill Investigated during a Long Term Community Study (2007 -Present), to both extend and refine his work. 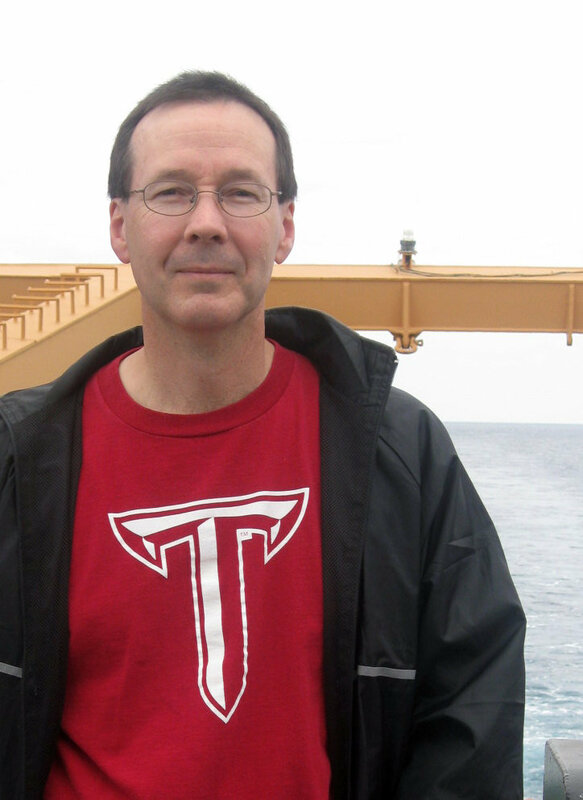 Landers and his team, Dr. Kewei Yu at Troy University and Dr. Martin Sørensen at the Natural History Museum of Denmark, will narrow their geographical focus to the continental slope and shelf of the GOM from the Texas-Louisiana border to Apalachicola, Fla. The team plans to identify roundworms, copepods, kinorhynchs (mud dragons) and priapulids to the species level, assessing changes in the taxonomic mix not revealed by population studies. Additionally, PAH, metals, and granulometry analysis will be undertaken to determine if the meiofauna have responded in any way to oil in the environment and whether that response is at all predictable. (Click to enlarge) Steven Landers on NOAA ship Gordon Gunter collecting meiofauna in the Gulf of Mexico. Dr. Landers and his students will be collecting the sediment samples as well as isolating and sorting the animals within. He will then distribute the samples to his team members. Dr. Yu, an environmental chemist who specializes in marine and wetlands ecosystems, will test the samples for PAH and Corexit levels. Dr. Sørensen, the world expert on kinorhynchs, will focus on species identification.